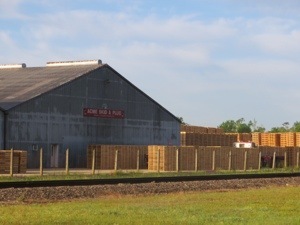 There was morning haze as we left the Pinewood Inn and passed by this skid plant. 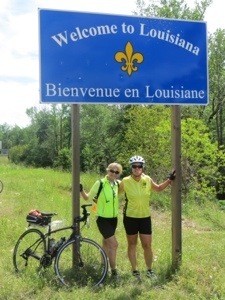 At mile 35, we crossed into Louisiana. 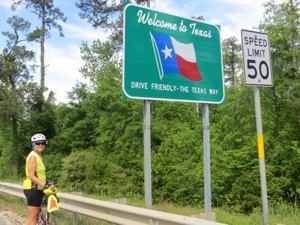 We also took pictures welcoming us to Texas as there were no such welcome signs when we entered Texas at El Paso back on March 24 (we estimate we rode 1,075 miles across Texas). 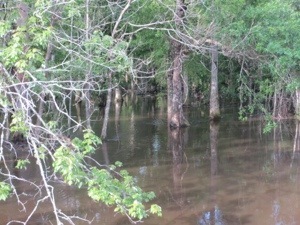 Of course, we rode past Louisiana bayous. 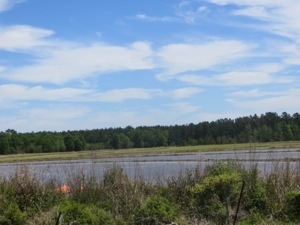 And we began to see rice fields. 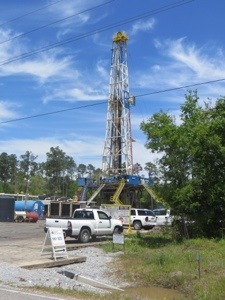 This was quite a big drilling operation. This family seemed to monopolize the youth rodeo circuit. 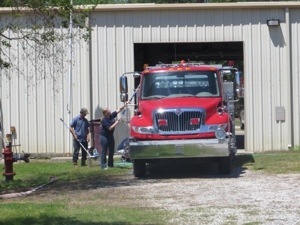 And on spring Saturdays, the volunteer firemen clean the engines. 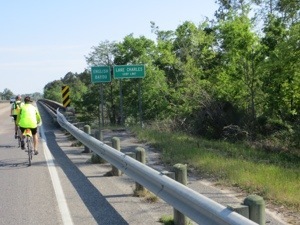 We were quite hungry by mile 59. I actually ate a Lunchable. 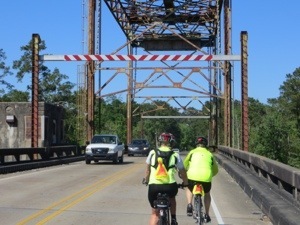 As we approached Lake Charles, we had to deal with bridges with no shoulder. 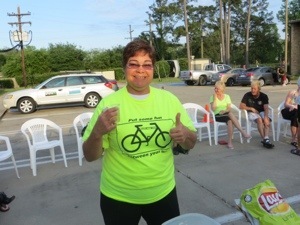 Carla was hit by a car at a stop light, which ruined her rear wheel. 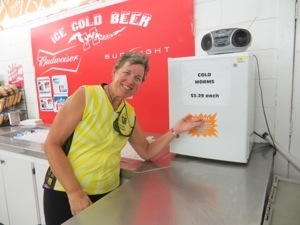 Carol was able to take her to a local bike shop where she also got this PSFBYL T-shirt. 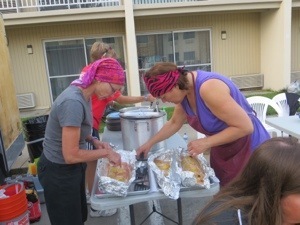 Linda fixed delicious poached salmon for dinner. 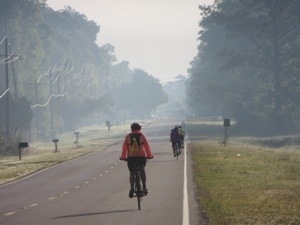 77 miles today, avg 10.9 mph. P.S. Happy Birthday, Mom. Thanks for watching over me from heaven. Wonderful what you are doing. Love your blog.